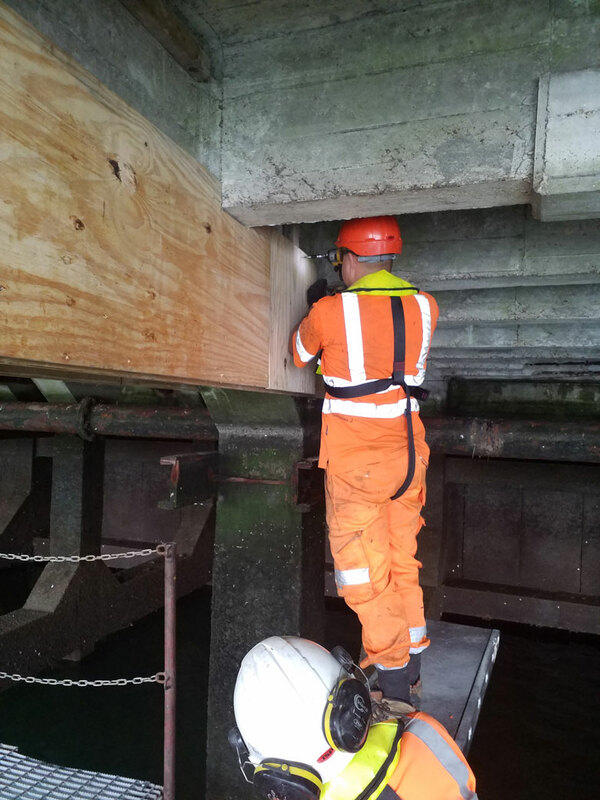 The civil engineering team have become experts in their field in the removal and replacement of concrete structures and fenders under the quay at the Ipswich Dock. With safety in mind at all times, we subcontracted an external scaffolding company to help us access all of the sections which needed replacing. This work is tidal dependant, so the operatives are always working under the quay at different times throughout the year as part of the ongoing maintenance civils work we are doing at the Associated British Ports.